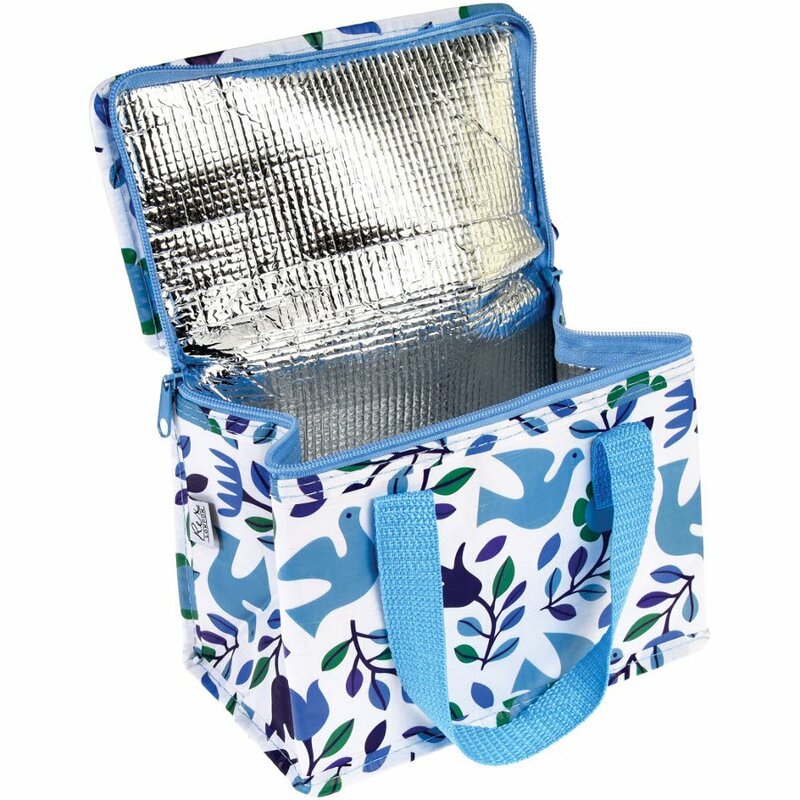 Perfect for sticking to a packed-lunch diet, this handy lunch bag uses foil, nylon and 100% recycled plastic from discarded bottles to make a stylish, convenient place for your meal. Recycled plastic bottles are used to create the exterior, which is decorated with a collage of blue leaf illustrations. 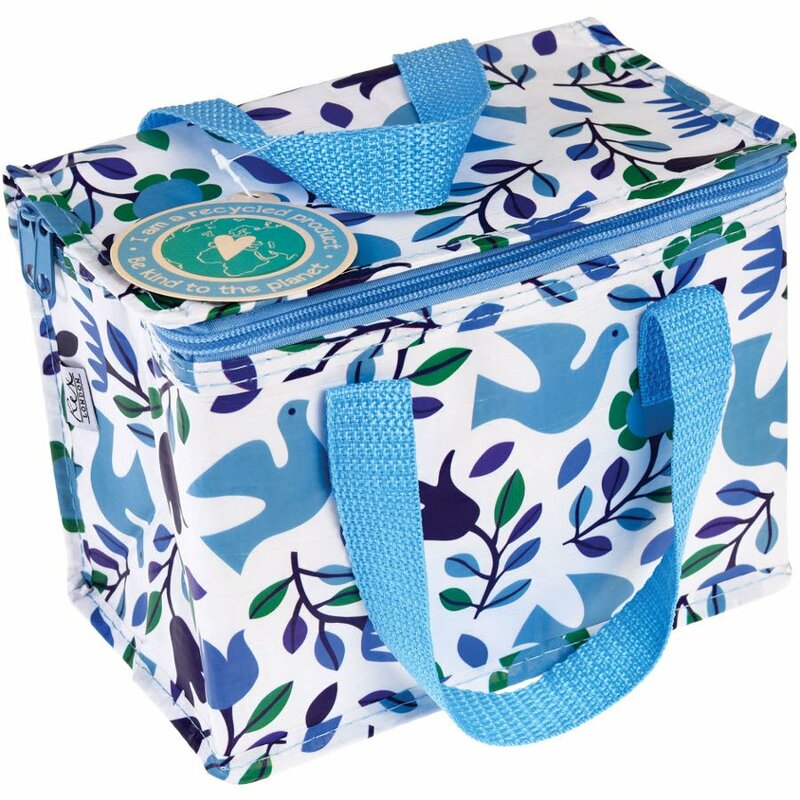 The handles are blue too, and use strong, woven nylon to make carrying your lunch around easy-peasy. 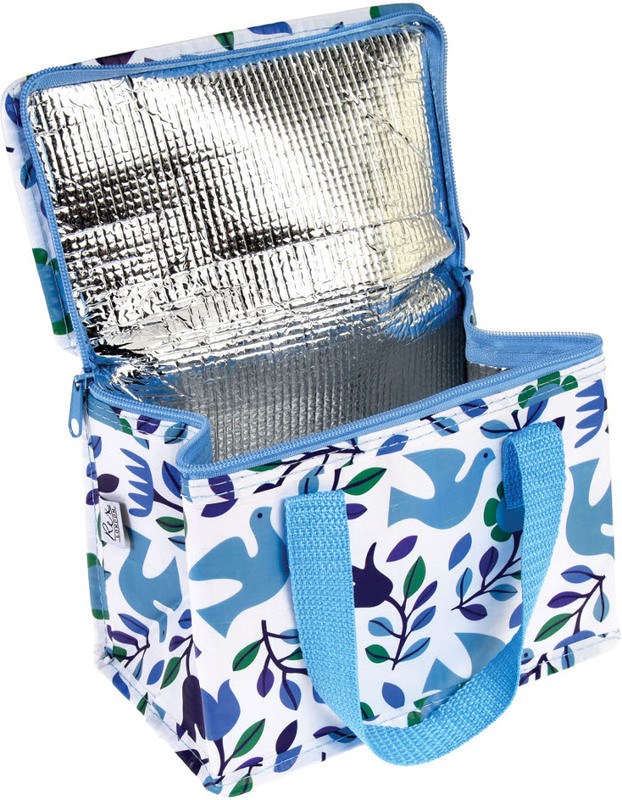 Your food and drink will stay fresh and insulated by a combination of the top zip closure and the interior foil lining. 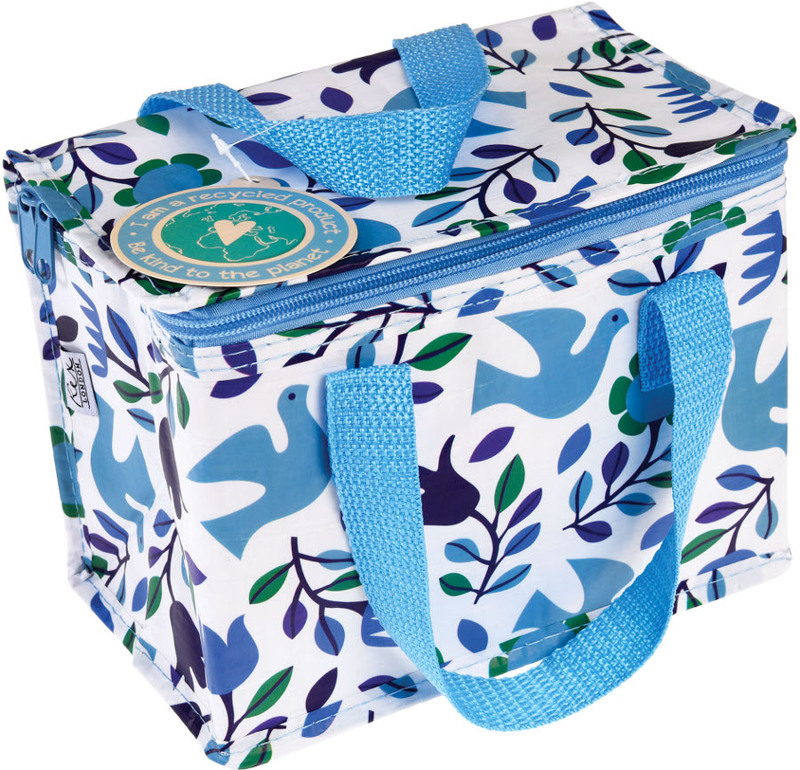 There are currently no questions to display about Recycled Lunch Bag - Folk Doves.